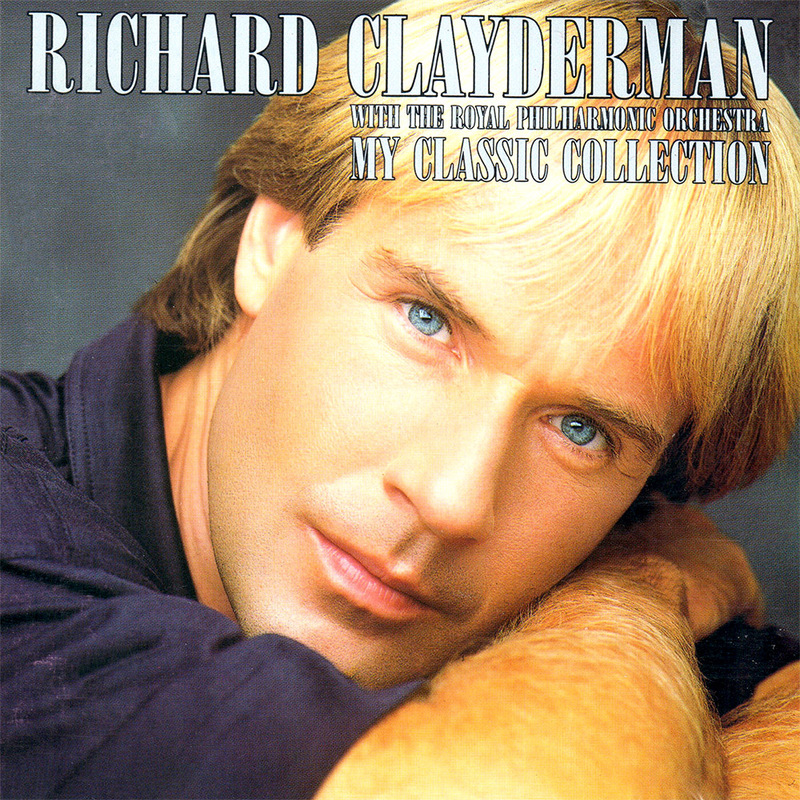 ‘My Classic Collection‘ is a Richard Clayderman studio album featuring 16 classical and contemporary pieces. It was the second of two albums to feature The Royal Philharmonic Orchestra, the first being ‘The Classic Touch’ / ‘Concerto’. All the tracks have since been released on compilation sets and are available for download on Spotify and iTUNES. ‘Cavalleria Rusticana’, ‘Medley Of The Four Seasons’, ‘Do You Know Where You Are Going To’ and ‘Tara’s Theme’ from ‘Gone With The Wind’. When my record company invited me to record this album of 16 ‘Classic’ pieces of music to celebrate the tenth anniversary of my first release in the U.K. (Song for Adeline), my producer and I needed to clarify the word ‘Classic’ before making our selection. To my delight, the English dictionary defines the word as ‘recognised excellence’ which of course allowed me to include modern composers, such as Max Steiner, Paul Williams, Harold Arlen etc, thus nearly half of this album which includes beautifully structured contemporary music featured in films and television, all of which are classics in their own right. I saw a video recording of a TV show of Nigel Kennedy playing a rock version of Spring, from Vivaldi’s Four Seasons which inspired the medley of the four seasons on the last track of this album. Transposing a work written for violin did at first pose some questions, but Antonio Vivaldi, like his contemporary J S Bach were among the first 17th and 18th century composers to introduce dynamic vitality and rhythm into their compositions, making therefore the transposition possible; I’m convinced that, had there been today’s percussion instruments in their day, then Vivaldi and J S Bach most certainly would have used them! Here then are sixteen beautiful melodies supported by the prestigious and excellent Royal Philharmonic Orchestra and I hope you will enjoy them as much as I have in recording them.